Watch out! I am practicing the hottest new dance moves. Hi everyone! 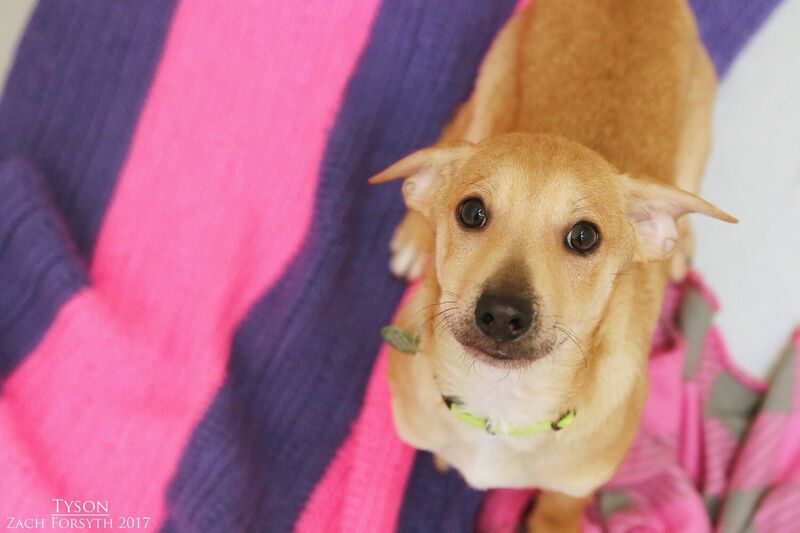 My name is Tyson and I am a 3 month old Chihuahua/Terrier at around 14lbs. I’ve been practicing all night to full fill my dream of being a backup dancer. And it worked! I got to go back stage and learning from the masters at the Tove Lov concert. They said I did such a good job! I am very social and friendly guy ready to say hi to everyone I meet! I do great with my other fellow puppy pals & human friends over 8, and am getting used those furry kitty friends too! When I am not grooving to the latest beats, I just love to explore and I am sure will grow up to be a great hiking companion. Speaking of growing up, PUPPY CLASSES ARE MANDATORY FOR MY ADOPTION! I am super smart, social, funny, and playful guy looking to jump and twirl off the stage and into your heart! Fill out an application today, so we can set up a meet! I come to you neutered, vaccinated, and micro-chipped with an adoption fee of $400.